Howdy! I have another trio of party favor bags to share with you today. These are a bit different in color. But, the same large label is heat embossed in antique gold. I know not everyone loves pink. Shocking, but true. 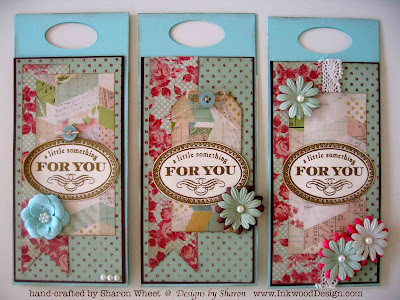 The front and back panels are made from Pool Party card stock by Stampin' Up! I love their solid card stock. Its a very nice heavy weight. So, it stands up beautifully. 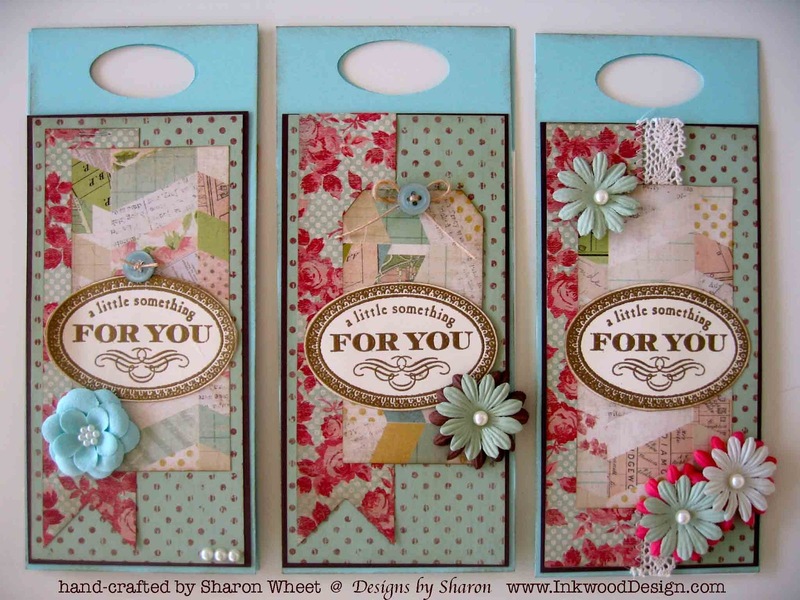 The pattern paper is a mix from a pad by Color Blok: Signature. I love this pattern paper collection because of the beautiful graphics, the mix of polka dots and floral, and the colors themselves remind me of days past. I added paper blossoms, vintage buttons, pearls, and a strip of crochet trim. I have two more trio sets left to share. I'll post them tomorrow. Enjoy your weekend!